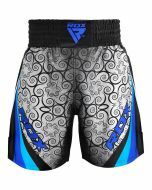 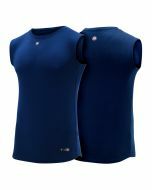 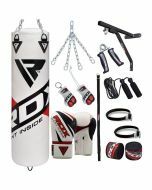 RDX specializes in sports gear specific to a number of sports. 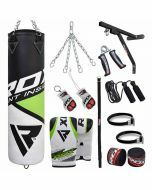 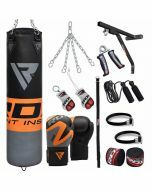 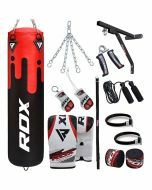 RDX 17 PC punch bag set is a unique product in the market and has literally no comparison because of its perfection. 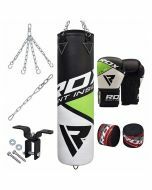 The items enclosed within the package are quality material made and perfected for reliability and durability. 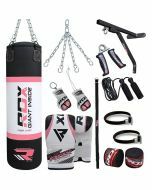 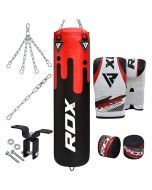 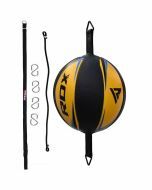 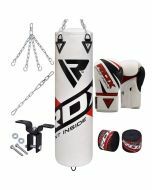 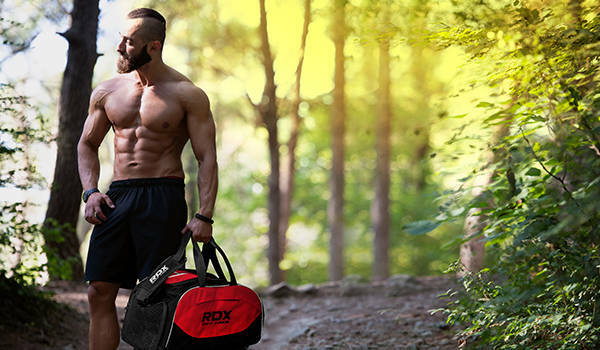 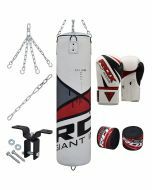 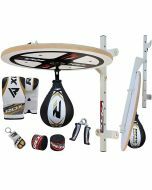 The Punch bag is made with twin layered RDX exclusive G-Core Technology and comes with strong steel built heavy-duty wall bracket for holding the bag. 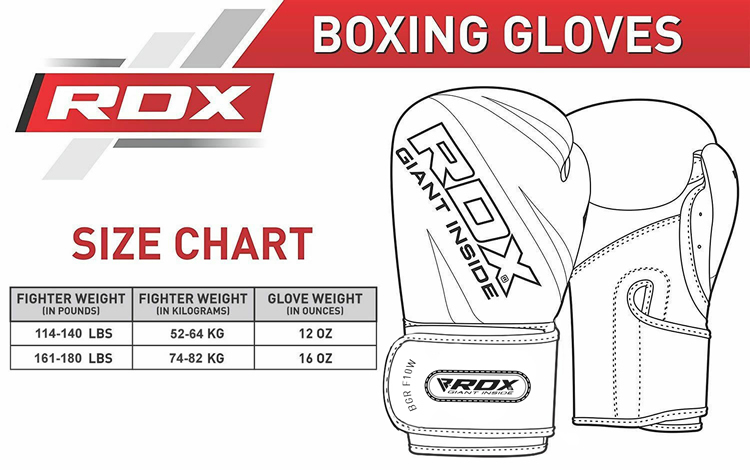 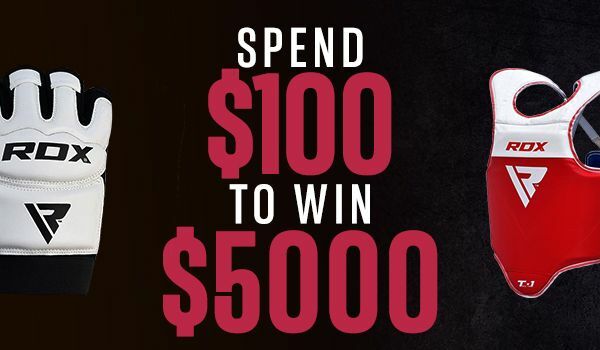 The bag includes a Gel padded pair of Patent Pending Boxing Gloves for effective training. 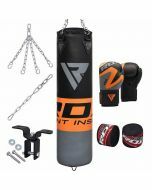 To fix the punch bag to the bracket, steel chains, Swivel, jump rope and D-Shackle are included within the package. 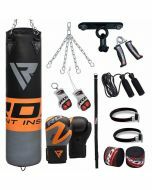 The inclusion of all the required items within the package saves you the effort of buying each item separately.